Whenever you deploy new bits for you applications, the most basic things you will want to validate is that the app is working and meeting your expected performance goals. 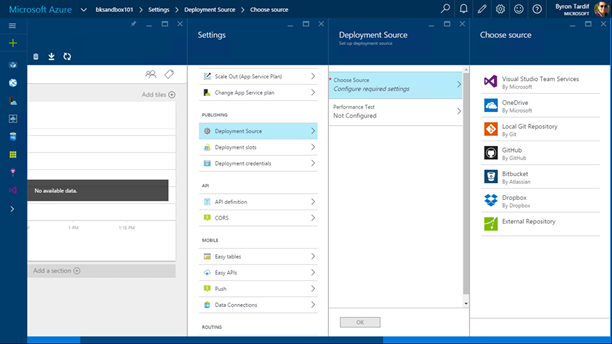 App Service helps you automate the deployment process through the Continuous Deployment functionality. Learn more about this feature in the video below. 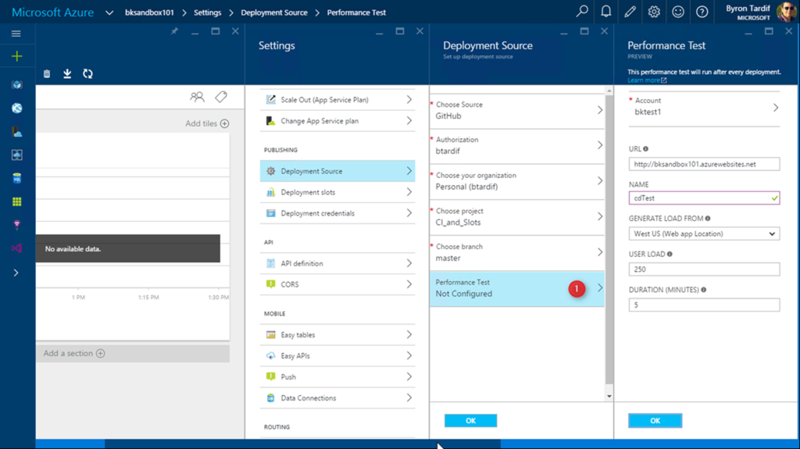 We integrated with Visual Studio Load Testing to trigger a test as part of your continuous integration workflow. This means, as soon as you check in a new version, your app can be updated and tested so you can validate behavior and performance in an automated fashion. This works even better when used in combination with deployment slots, so you can have that extra validation before swapping the new bits into production. 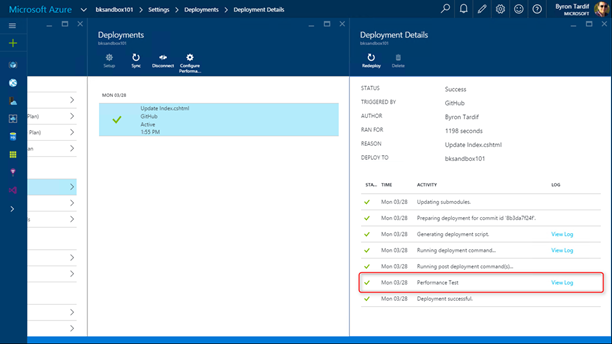 To setup Performance Test as part of Continuous Deployment workflow, go to your app’s Settings > Deployment Source and setup Continuous Deployment from your provider of choice. Once that is configured, you will also be provided with the option to configure a Performance Test that would be executed every time new bits get deployed through the Continuous Deployment pipeline. Performance Test are executed as post deployment actions. Results for the latest execution can be reviewed by clicking on the View Log link. 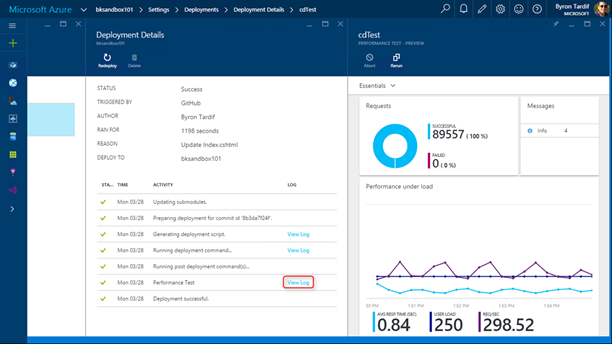 Performance Test can be added to existing Continuous Deployment configurations by clicking on the Configure Performance Test icon in the command bar. Please let us know what your thoughts, questions and ideas are in the comments section below, or via our User Voice feedback forum.